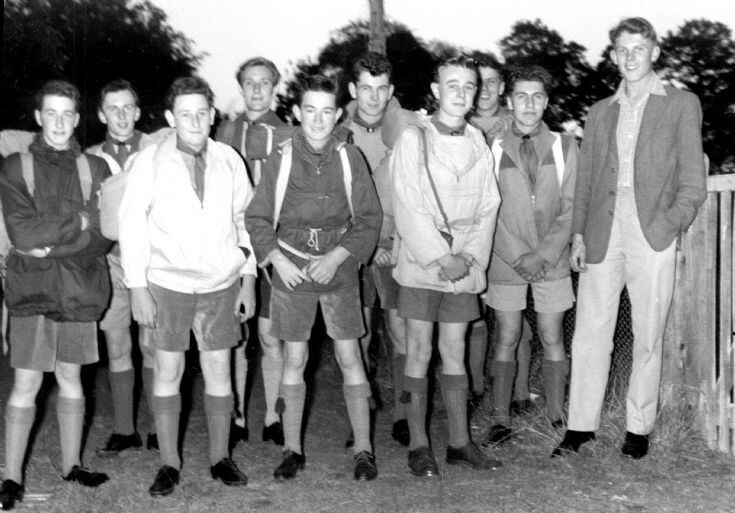 It was quite an major event when the 1st Slaugham Scouts, based in Handcross, decided to tour the continent of Europe for their summer holiday. They travelled by train and ferry across the Channel and the first stop was a youth hostel in Paris. The highlight was ascending to the top of the Eiffel Tower by lift, although we were more accustomed to climbing trees using free-style methods! We then travelled to Zurich for a few days which included ascending Mount Rigi (5897 ft) by rack railway and descending by foot. Then we moved on to Luxembourg where some of us walked to the Radio Luxembourg studios and asked if we could have a look around. Our request was successful and we were able to watch various broadcasts being made. Our final stop was Brussels where we visited the Atomium and ascended to the top sphere in what was then the fastest lift in the world. The construction was built for Expo 1958, but, unlike the Skylon built for the Festival of Britain in 1951, the Atomium still survives as a tourist destination today. From the left our group comprised: Godfrey Parker, Chris Johnson, Ron Verlander, Michael Pateman, Rodney Pattison, Barry Ray, David Knape, Tom Chamberlain, Norman Leppard, and Raymond Trickey. The last-named civilian was invited along as he had mastered the art of speaking French, Latin and Ancient Greek! Click on Open Document to view a photograph taken in Paris. From the left: Barry Ray, Raymond Trickey, Chris Johnson, Norman Leppard, Michael Pateman, Godfrey Parker, and Rodney Pattison.